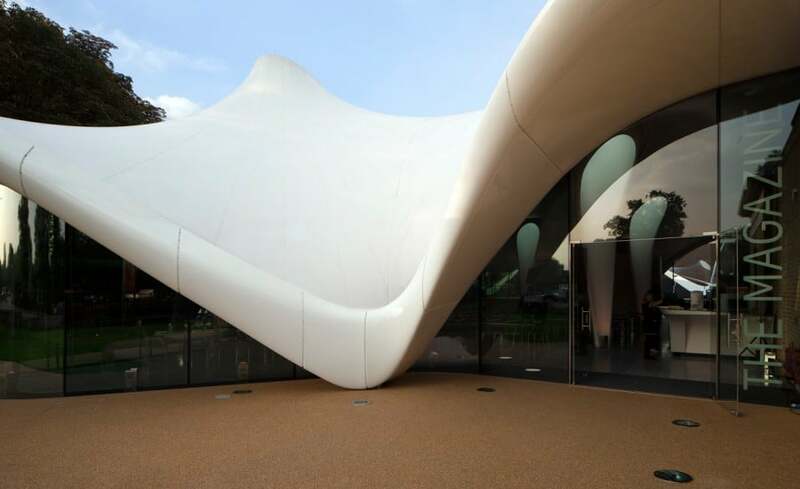 The stunning new £14.5M extension of the Serpentine Gallery opened its doors on 28 September. The contemporary new triple layer tensile fabric covered building perfectly blends the existing 19th century architecture with 21st century ultra-modern architecture. The new space features a restaurant and social space with an ephemeral feel to it. The intent was to create a venue that will become a destination. 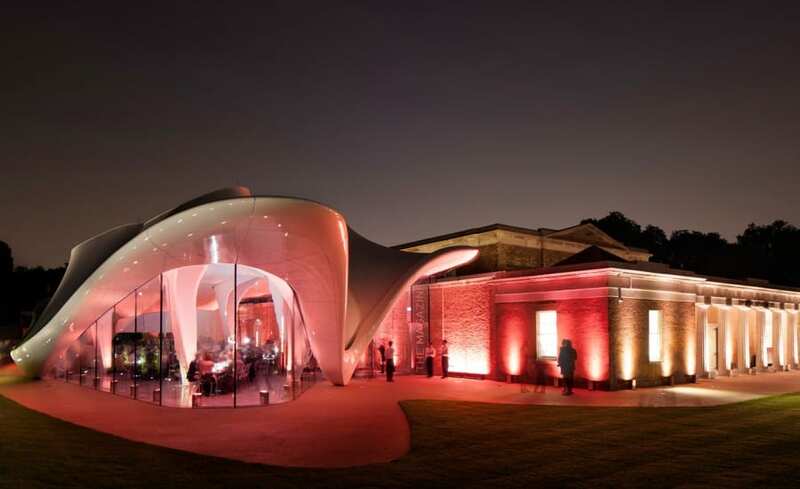 Although the structure looks temporary in nature adjacent the 19th century building, it is a permanent fully enclosed multifunctional addition to the Serpentine Gallery. Architen Landrell had the privilege to once again work with Zaha Hadid Architects on this unique project. 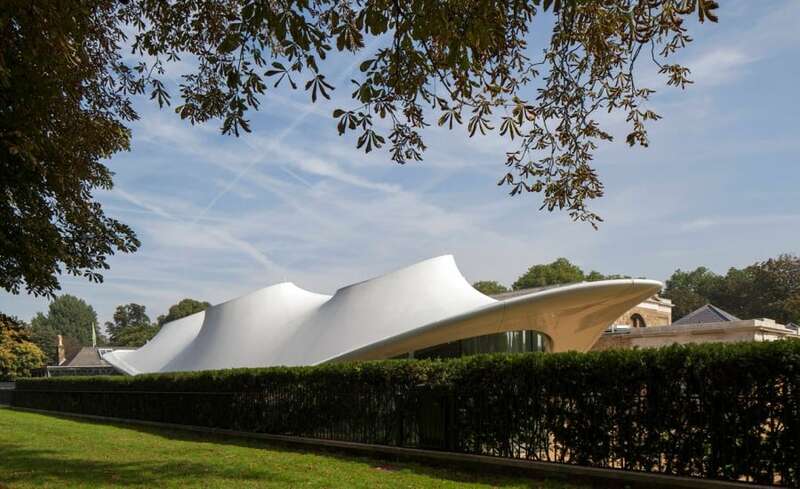 Having worked together on the London 2012 Aquatics Centre, it was exciting to be asked to work on a project as prestigious as the Serpentine Gallery. 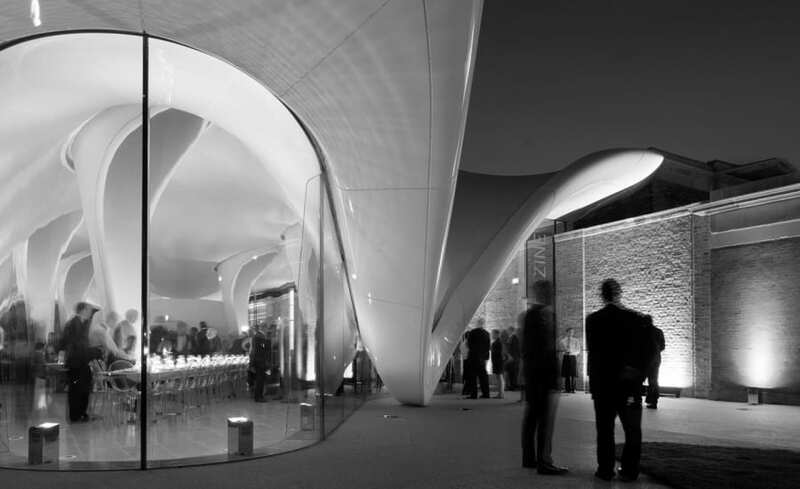 Zaha Hadid sees the potential of using fabric as a building medium and we are thrilled to be able to help realise her vision. The idea of using fabric as the building medium was to create a light, bright structure that was beautiful from every angle, inside and out. 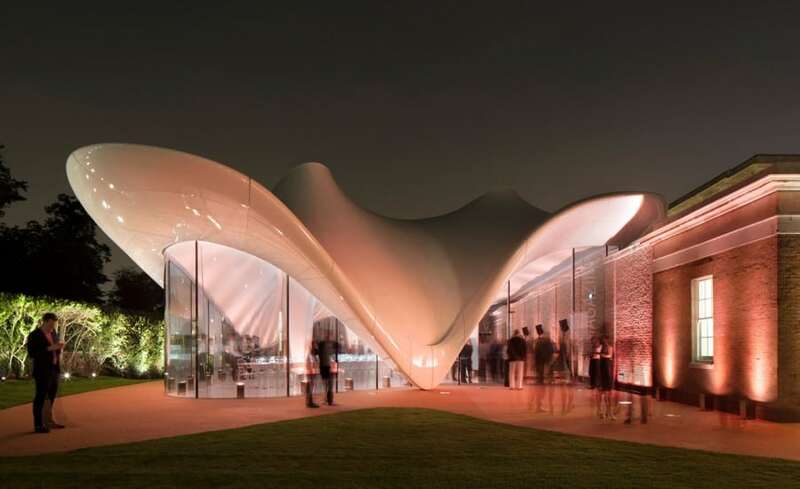 When asked about using fabric as a building medium, Zaha Hadid said this: “The idea here was to use a new material – a tensile structure – and to look at domes and a shell structure to achieve a lightweight contemporary project. 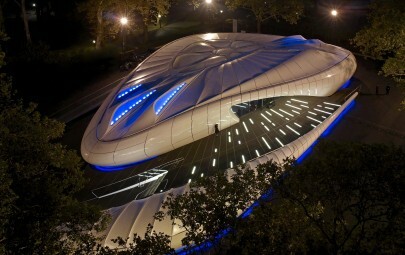 Unlike other building mediums, fabric can create dynamic undulating shapes and this building truly showcases what’s possible with tensile fabric structures from Architen Landrell. 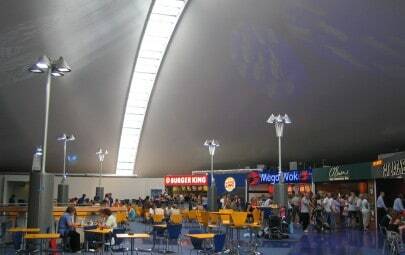 The free flowing conic structure itself is extremely complex in design, featuring five elliptical glazed headrings (for light transmission), five tapered columns (supporting the structure), double curvature (in every direction) and the appearance of lightly touching the ground on two points. Frameless glass walls wrap the building enclosing it giving the illusion that the roof is floating above the space. PTFE was chosen for the outer layer because of its longevity, class 0 fire rating and self-cleaning properties. Beneath the PTFE is an insulated fireproof layer of Firefly Vulcan and Expert 50 followed by an inner layer of Atex 2000 Silicone Coated Glass. Each layer covers approximately 538m2 of surface area. The insulated triple layer system has a U Value of 0.18 and meets Part L Requirements. As a company, Architen Landrell is very proud to have worked on such a dramatic and stunning project and we are looking forward to both experiencing the new gallery ourselves and hearing the public’s reaction to the new space. Projects by Zaha Hadid always catch the media’s attention and were sure this one will do the same, highlighting fabric as the design and build material of this century.